Well, it’s officially been over two months since my last blog post, and so much has happened I don’t even know where to begin. I’ve been extremely busy with my wedding photography, school, and life in general. Last week I returned to Salmon Creek to photograph the wedding of Rose and Jeremy Norred! On October 11, 2008 – Rose and Jeremy were blessed with absolutely perfect autumn weather complete with royal blue skies and warm, 70-degree weather. Their wedding was held outdoors on the grounds of the Salmon Creek C.C. with the reception being held at the same location. The early-evening fall light was absolutely picture-perfect! With the sun hanging low in the sky and a lush, green canvas to photograph the formal wedding photographs against, it was truly a wonderful time all around. My day began early in the morning, traveling from Rochester to Brockport to photograph wedding preparation photos of the bride. I spent a few hours at Rose’s house, photographing everything from the wedding party getting ready to Rose and her family applying make-up, before riding over in the limo to Salmon Creek. I was especially excited to use a new 85mm, 1.8f lens I purchased a week or so before the wedding, and I couldn’t have been happier with the results. That new lens affords me the possibility of shooting weddings in very low lighting conditions, such as churches, chapels, and dim wedding reception halls; however, I’m able to maintain a very high shutter speed (resulting in crisper images). The pre-ceremony and formal wedding photos were my favorite out of the day’s worth of shooting, in which I ended up with over 2,500 photographs between me and my colleague, who was instrumental in helping document such a magnificent wedding day. But, the best part for me is hearing about how satisfied clients are when the see their photographs. That’s worth every second I spend with my camera and my eye behind the lens – when a client writes and tells me just how happy I’ve made them. On September 27, I photographed Tami & Joel Hebert’s wedding in Hamlin, NY which is just outside of Rochester. It was a beautiful fall day with the wedding ceremony being held at St. John Lutheran Church and the reception following at the Salmon Creek C.C. After shooting a few wedding formal pictures at the church, we made a quick stop for more formal wedding photographs at the Adams Basin Inn right alongside the Erie Canal. The Inn is absolutely gorgeous and perfect for outside weddings (for those of you looking for your future wedding). The innkeepers were extremely friendly and very accommodating. Salmon Creek C.C. is barely a minute down the road, which made for a quick drive to the reception where the real fun began! I had an amazing time photographing Tami and Joel’s wedding; Tami’s such a special lady and Joel is a really nice guy too – they truly are a wonderful couple and I’m honored to have been a part of their special day. 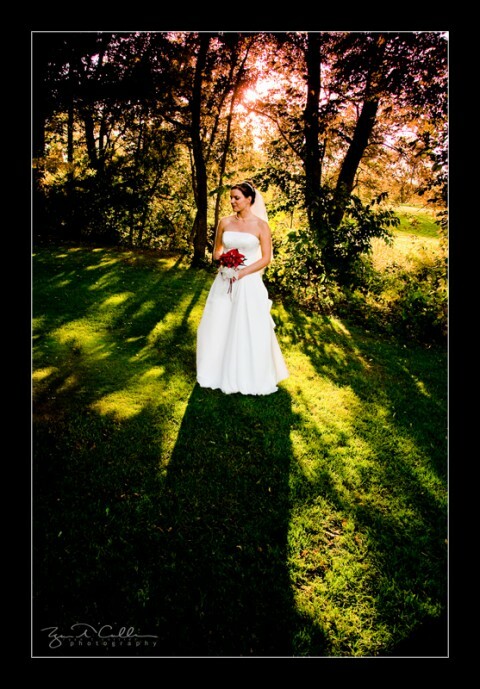 Posted in Blog, Photography, Weddings and tagged with Rochester, Salmon Creek C.C., wedding photography, Weddings. RSS 2.0 feed.